Order within 16 hrs 33 mins 24 for delivery on Wednesday. 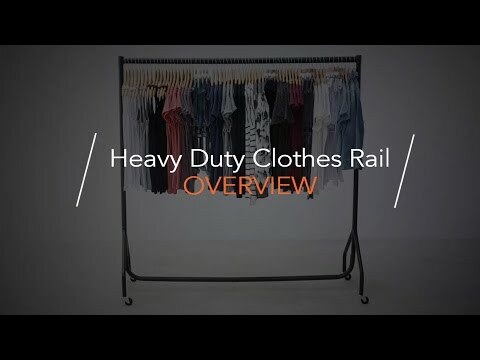 SOLID STEEL CONSTRUCTION - Industrial-grade 30mm steel tubing and a high load capacity of up to 100 kg UDL, for large quantities and heavy garments, so you can display or store more stock. FUNCTIONAL AND STYLISH - These clothes rails are ideal for retail displays, storerooms, warehouses and cloak rooms. But they're also stylish enough for use in the home, great when moving house, or when your existing wardrobes are feeling the strain of too many clothes.